When I was young, I looked forward to going to the zoo. Why? Because you get to observe life in all variety of shapes, sounds and smells. Indeed, zoos are a place where you can learn about the many different forms of life. 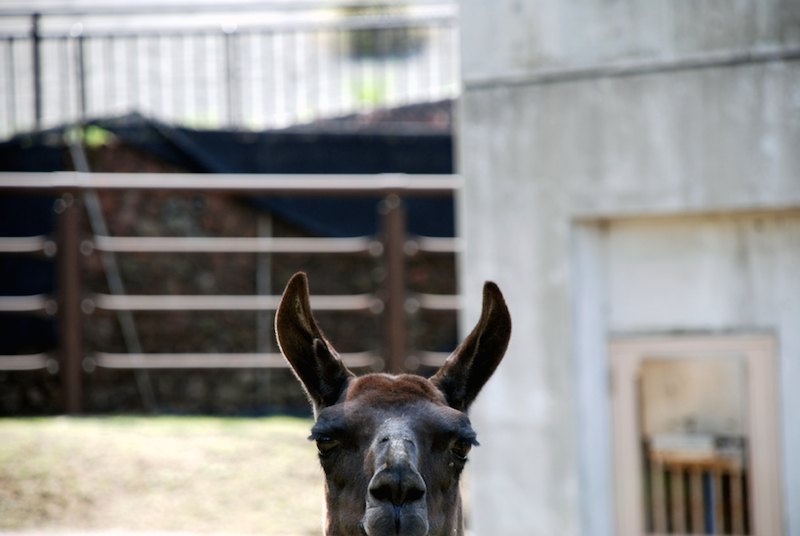 One such a zoo can be found on Oshima Island as well. ‘Tokyo Municipal Oshima Park Zoo’, the island’s zoo, is like a miniature version of earth what with so many forms of life living there. 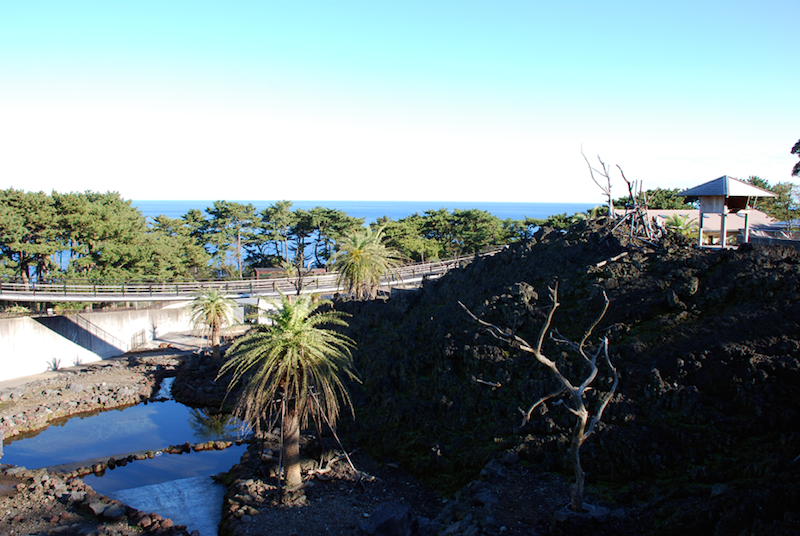 Izu Oshima is a volcanic island. A place where the breath of the earth can be felt. 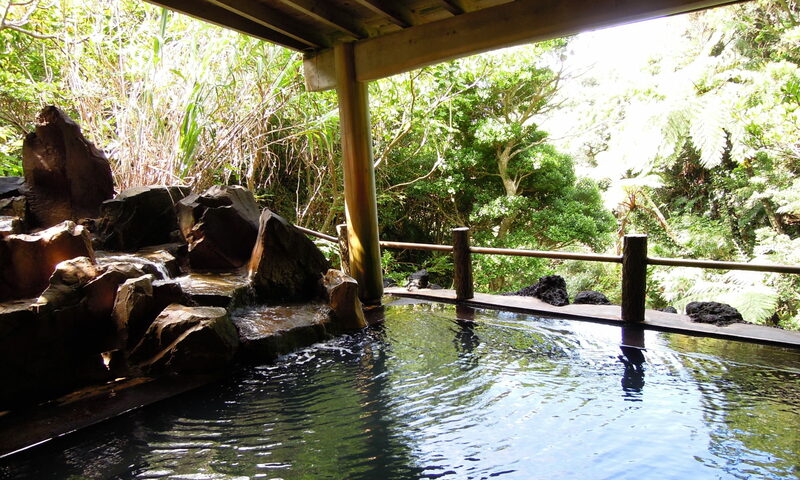 Here at the Oshima Park Zoo, the natural shape of lava has been left untouched, and you will find animals lounging within a dynamic surrounding. 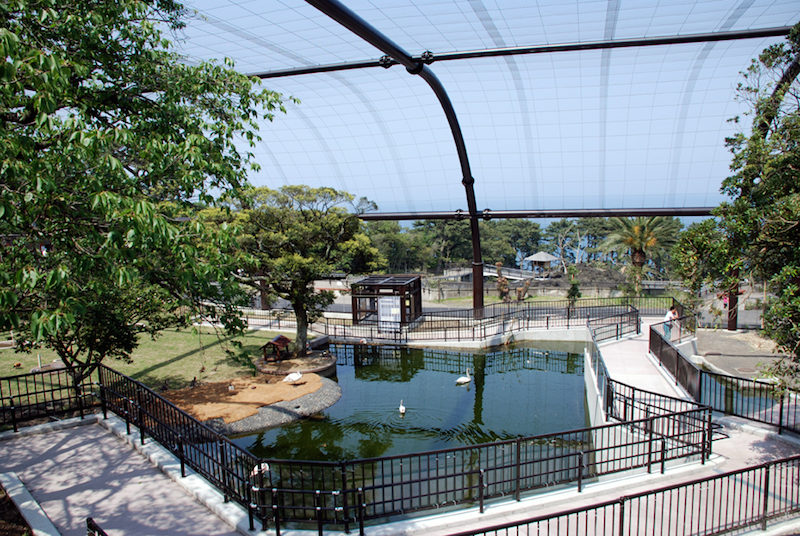 The flying cage at Oshima Park zoo is one of the largest in Japan, measuring 53mx42mx13m. Built in to that huge space are ponds, wetlands, and hilly areas, and many different types of birds can be observed. 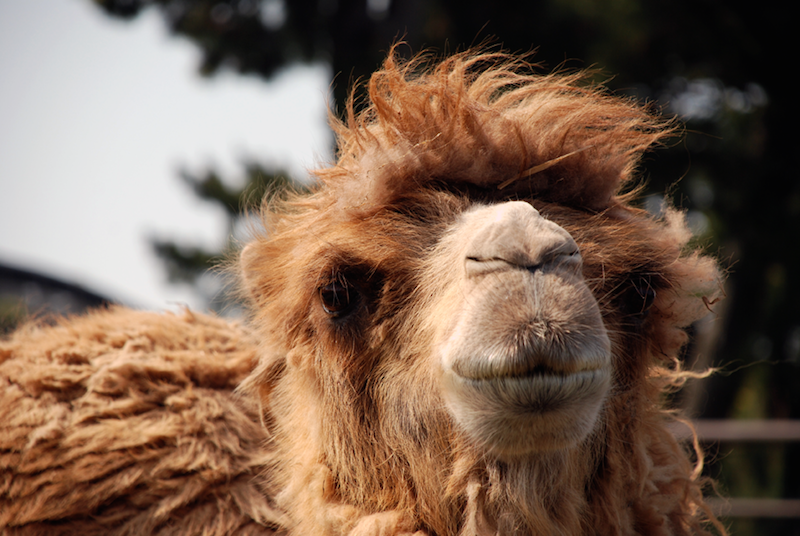 It’s easy to forget the passing of time when watching the charming appearance and behaviors of these animals. There are many more animals in addition to birds, such as wallabies and capybara. 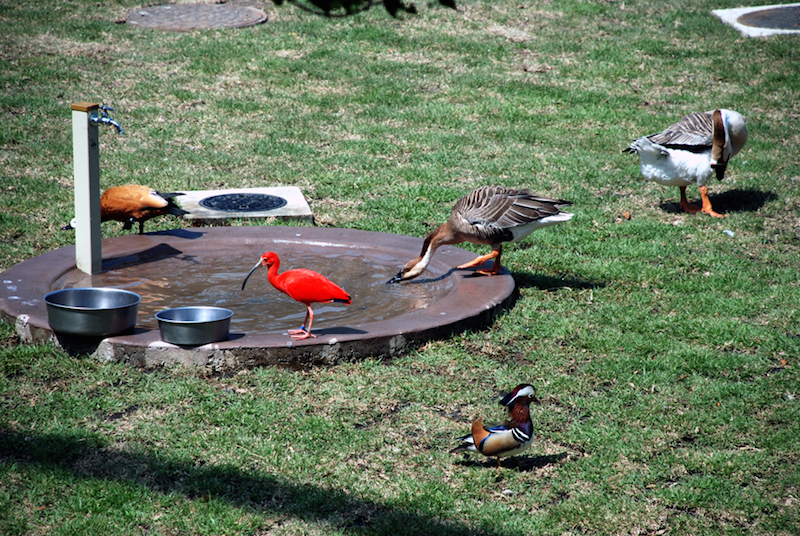 There are primarily 15 different types of birds in the flying cage area. From flamingos, ducks, mandarin ducks, peacocks, and Japanese wood pigeon, a protected species in Japan, it’s like a huge bird cage where you will find a diverse collection of birds dancing in it. 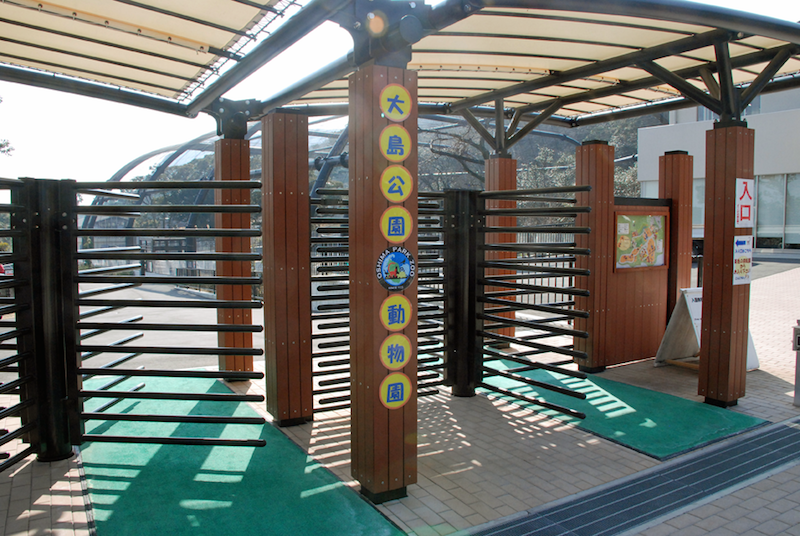 The zoo, which is a part of Tokyo Municipal Oshima Park, was opened in 1935. The flying cage, one of the highlights of the place, is one of the largest in Japan. Starting with the ‘Friendly Plaza’ where you get to pet the animals, most of the animals can be observed at arms length. Also at this zoo, you are allowed to bring in plants as feed for the animals (but only for select animals). Nowadays it’s rare to find zoos that permit this. Mountains and the sea. 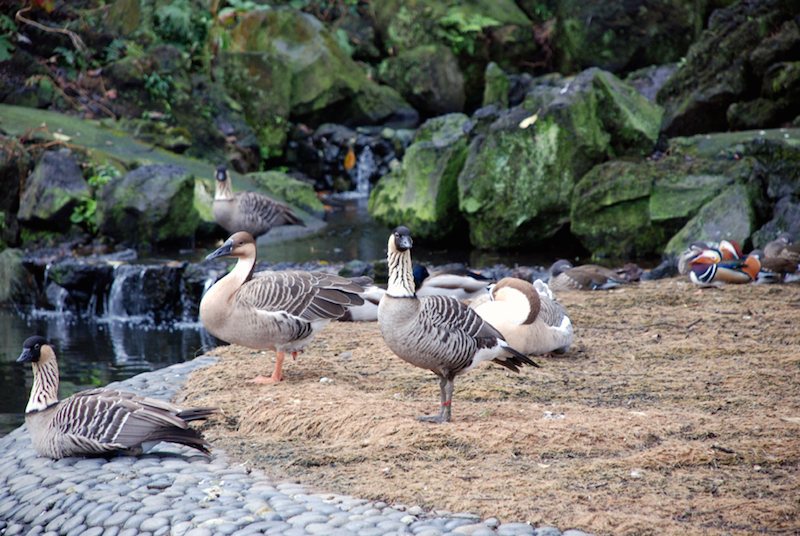 Perhaps as a result of this surrounding nature, the animals here are very relaxed. This is the type of zoo where you can’t help but feel a sense of nostalgia deep down inside. 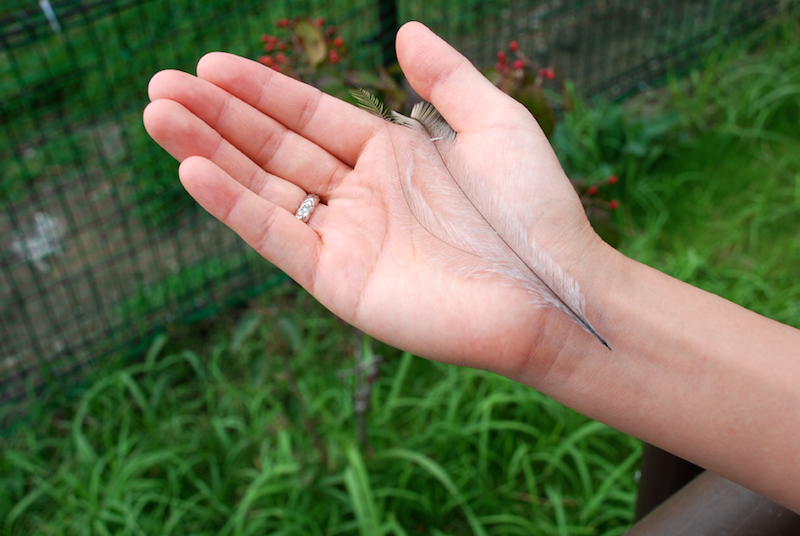 The feather of an emu, where one feather splits into two at the base. This is a shape particular only to emus despite the many thousands of species of birds. In New Zealand, there is a custom of sending it as a lucky charm for love, or as a sign of friendship. Such a lovely custom, if I may add. There is an emu right here at Oshima Park zoo too. Who knows, you may just happen to find one of these lucky feathers lying right next to your foot! At zoos, an endangered species may be categorized as captive population, and put under a breeding programme to ensure survival of its species. 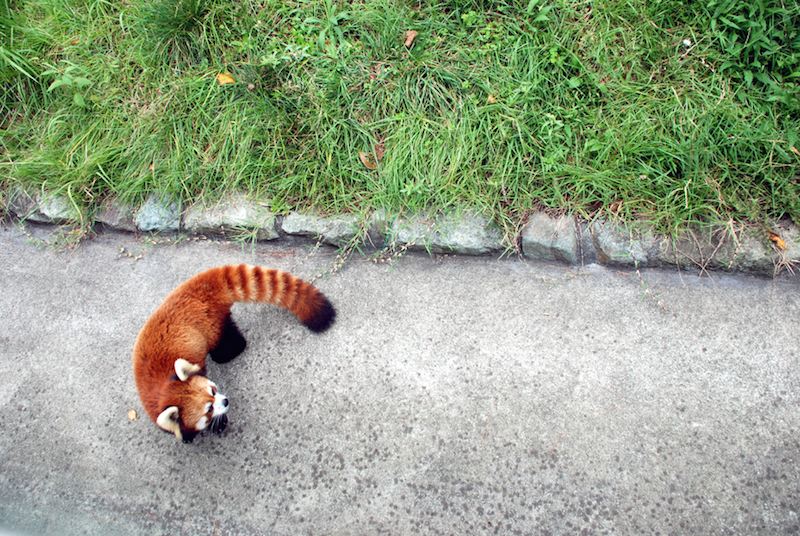 The roles are split between the Tokyo prefectural zoos (5 in the city). 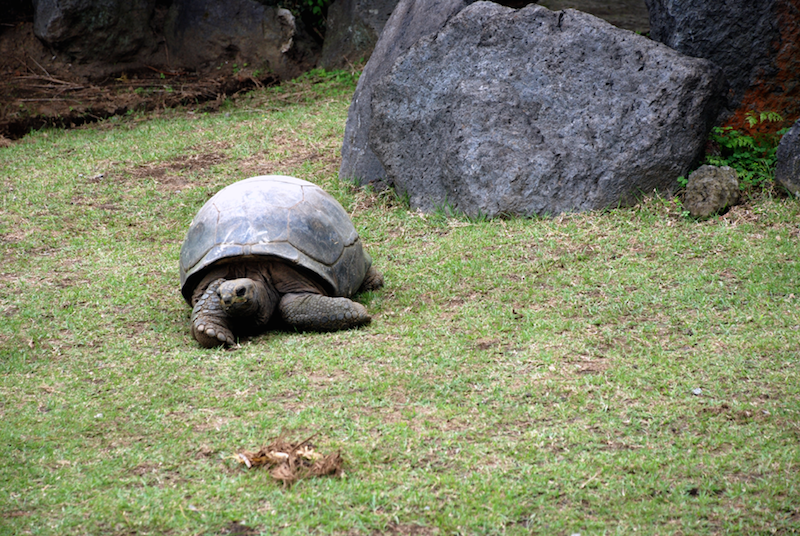 Oshima Park supervises the programmes for ‘Aldabra giant tortoise’, ‘Japanese wood pigeon’, and ‘Hawaiian goose’.